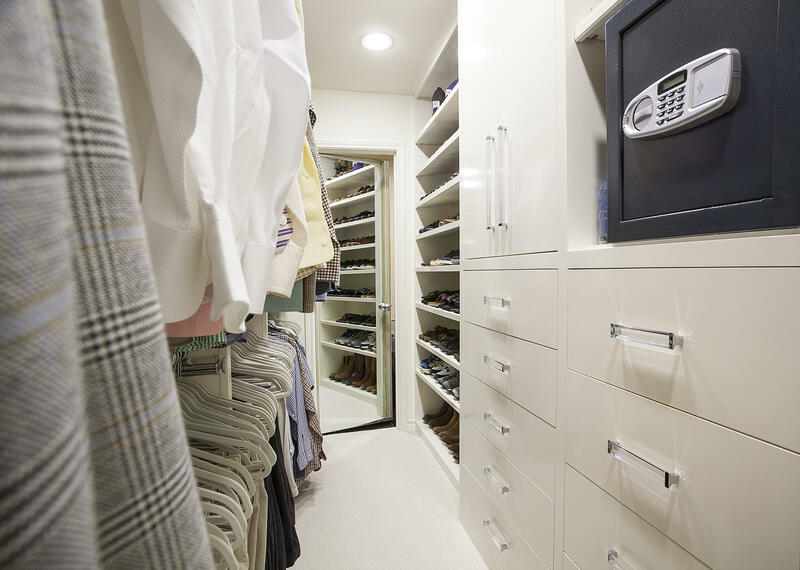 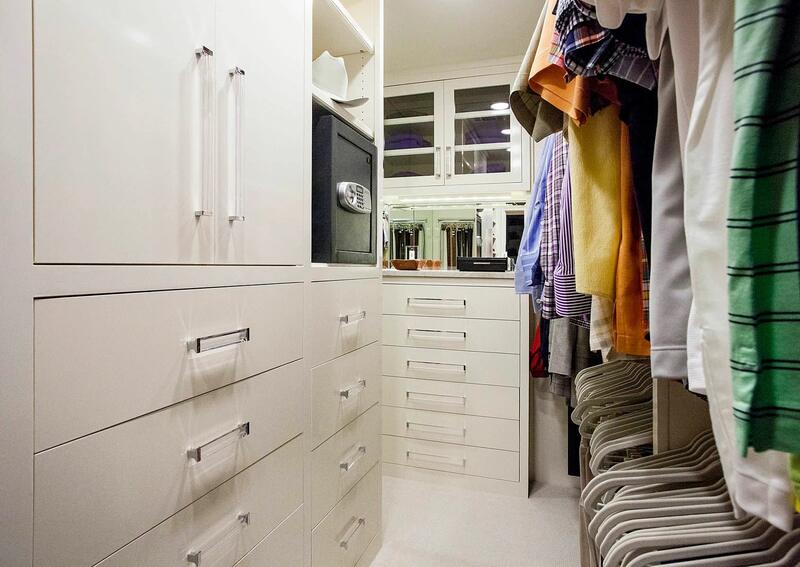 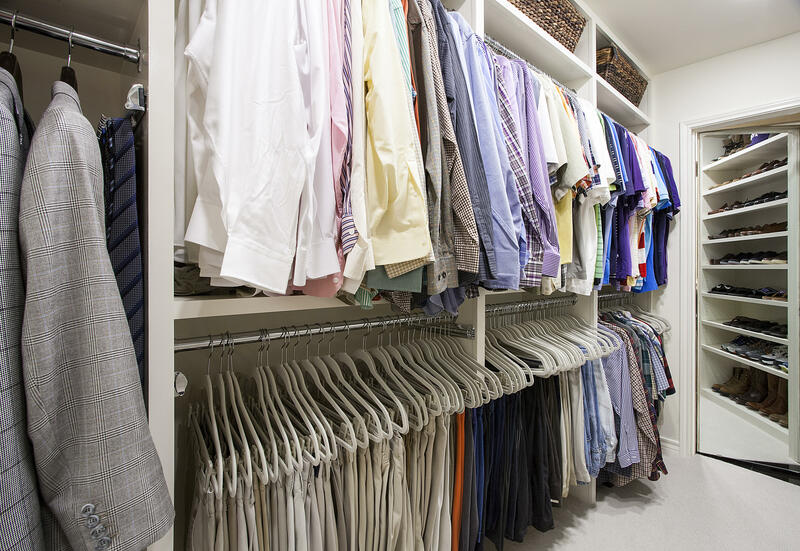 A closet that could also serve as a workspace was our goal in this custom walk-in closet in Forth Worth. 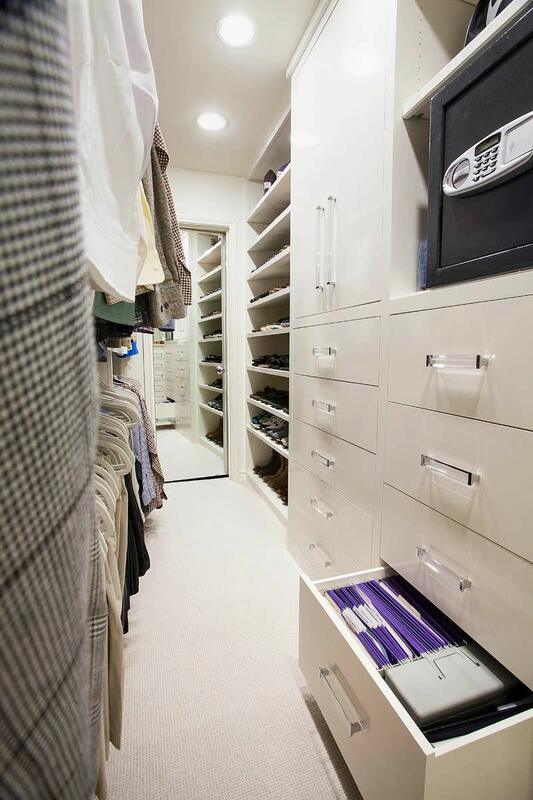 Pull out file drawers and a built-in fireproof safe were installed. 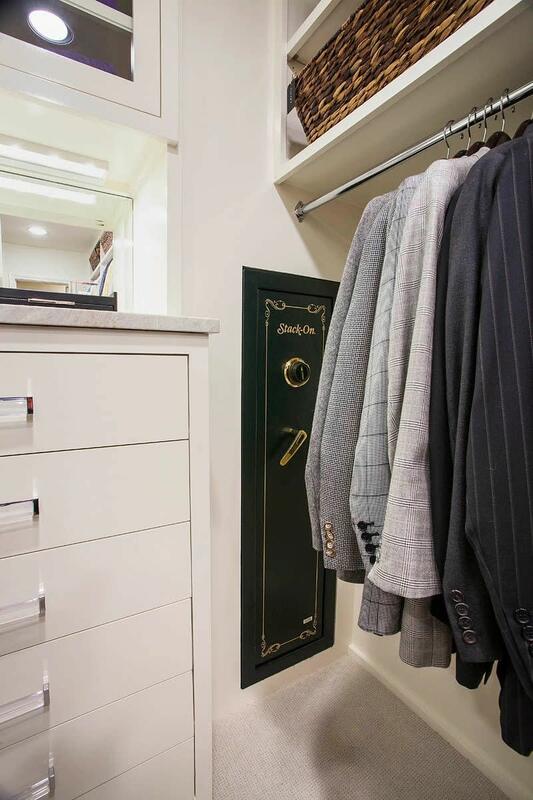 A locked guncase was housed inside the wall behind his hanging clothes. 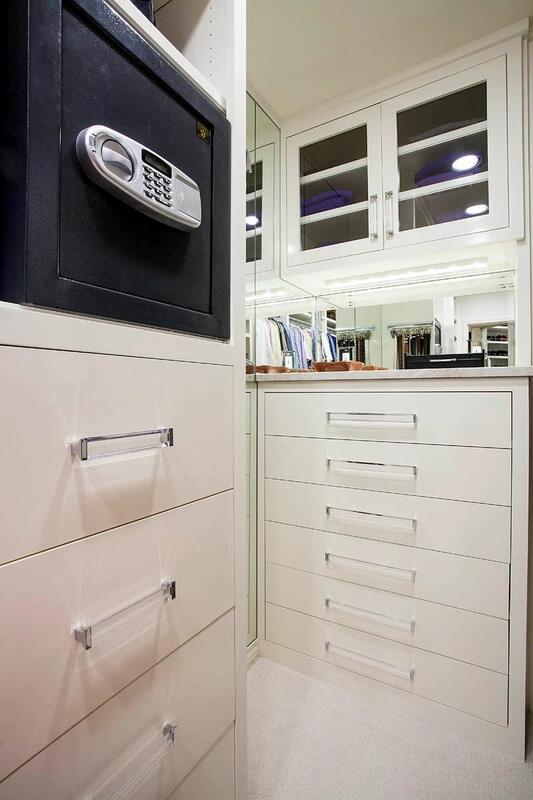 Two large dressers provide lots of additional storage.